The sad reality is that almost all of us have been impacted by drunk driving. Approximately one in three traffic deaths in our country involve a drunk driver. Connecticut is in the top five states with the highest percentage of fatal accidents involving drunk drivers. Drunk driving is a criminal offense. Connecticut has an Implied Consent Law. Every person who operates a motor vehicle is presumed to have given consent to take a test to determine his or her blood alcohol concentration (BAC). This law is found in the Connecticut General Statutes (Conn. Gen Stat.) § 14-227b. Police officers measure BAC by testing the driver’s breath, blood or urine. Legal intoxication is a BAC of .08 or above (if you are under 21 years of age or operating a commercial motor vehicle, this number is lower, meaning you can face penalties for being less intoxicated than you need to be otherwise). For someone who weighs 140 lbs., three drinks will result in a .08 BAC. Driving while under the influence of alcohol or drugs is prohibited by Conn. Gen. Stat. § 14-227a. The civil remedies (money damages) for victims of drunk driving accidents look to the drunk driver’s insurance company for damages to compensate for losses, injuries, and damages. The losses associated with drunk driving are often life-changing: loss of life, limb, paralysis, and permanent loss. Yes! Under Conn. Gen. Stat. § 14-295, in a civil action where the at-fault party has deliberately or with reckless disregard operated a motor vehicle in violation of such statutes as the one prohibiting drunk driving, the plaintiff may be entitled to double or treble damages. Driving under the influence is considered reckless driving, beyond the standard of mere negligence. Contact Buckley, Wynne & Parese to know your rights by calling 203-776-2278 or visiting www.bwplaw.com. Protect your family! One study estimated that the cost to the public is $114.3 billion, including economic and life losses. 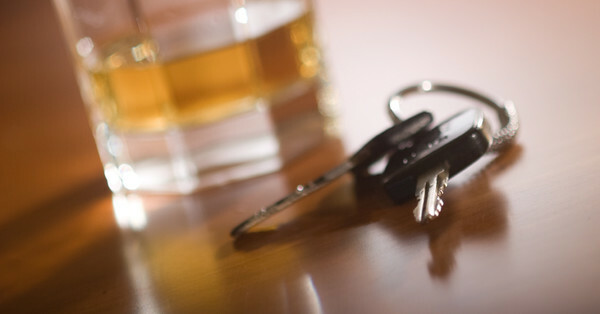 As for the offender, there are numerous costs associated with a DUI, as well. These costs can add up quickly, totaling more than $20,000 even for a first offense with no property damage or injuries. This includes fines, bail, towing and impound of the driver’s vehicle, higher insurance premiums, an attorney, alcohol education programs, licensing fees, chemical testing fees, probation supervision, installation of the ignition interlock device and maintenance, license reinstatement fees, community service fees, alternate transportation during the license suspension, and more. Know your rights! Contact Buckley, Wynne & Parese!